Not yet, if you have one, please upload it to http://www.aoczone.net/viewtopic.php?f=101&t=32232 and I will update the program. Dude can u put portuguese brazilian? And can u make to forgotten empires? It was not official expansion... but now microsoft buy that. and make it official. 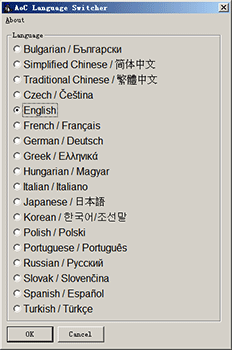 If u need a portuguese dll i had it... i finish the one. ok.